For those not familiar with Ballenclaugh Soaps, they’re handmade in small batches by Chris Bartek at his home in Nebraska. Many months ago, I had purchased Ballenclaugh’s Cherries in the Chamber, which is outstanding and was among my favorites at the time. After months of purchasing soap after soap, I frankly forgot about Ballenclaugh. My Cherries in the Chamber just got buried beneath my newer acquisitions, out of sight and forgotten. Well, I recently rediscovered Cherries in the Chamber and was anxious to use it, remembering how much I loved that Tobacco & Cherry scent. 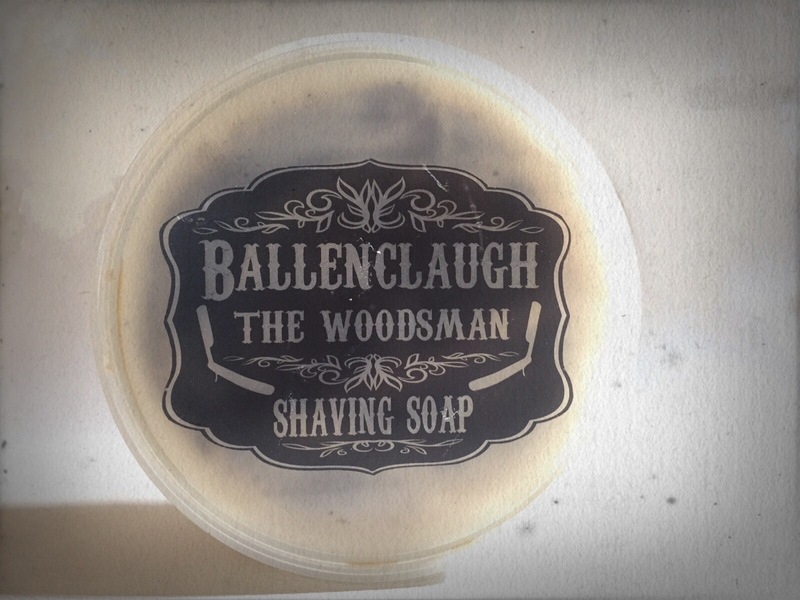 Needless to say, I really enjoyed it and glad to have been reacquainted with Ballenclaugh Soaps. When you’re a small soap maker, it’s easy to get overshadowed by the ‘Big Guys’. I believe Chris is a part-time hobbyist / soap maker with really no marketing or functional website at this time. The marketing has mostly been word of mouth, along with people sharing their thoughts through the various forums. There’s so much hype and fanfare with other artisans, it’s easy to get lost among all the choices and countless soaps. His soaps are really good folks and deserve a look! The packaging is nothing fancy, It’s just functional. The soap comes in a screw top plastic container with no product description other than what is imprinted in black on lid. The sides are wrapped in twine to give it a rustic, woodsy feel. Personally, I can do without the twine, but who cares. It’s all about the soap. The first impression was WOW, this is different… a good different. I never smelled anything like this before and I liked it a lot. Anyone who knows me, knows that I prefer a strong scented soap. 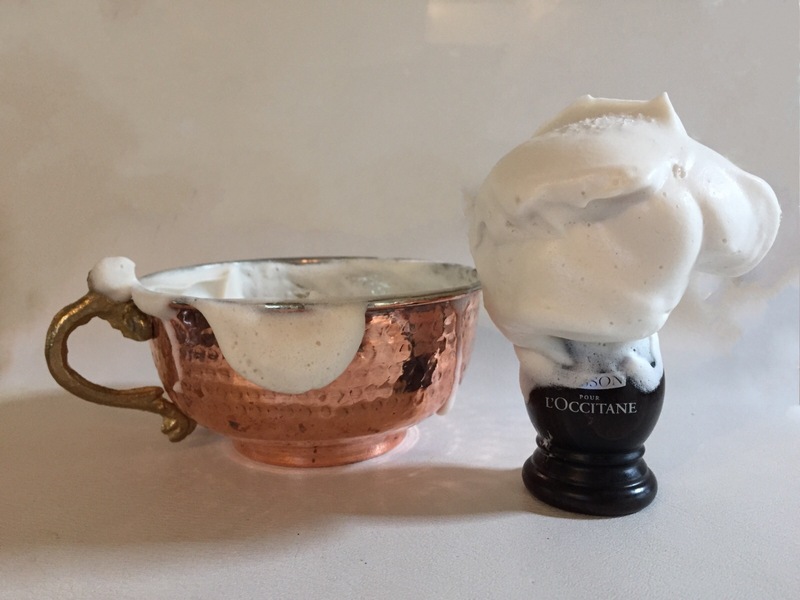 A fragrance that I can smell while lathering and enjoy throughout the shaving process. This didn’t disappoint and in fact, The Woodsman had a wonderful scent of Pine, that was strong and masculine with a hint of citrus. A perfect match, as the citrus subdued and mellowed the pine tar. 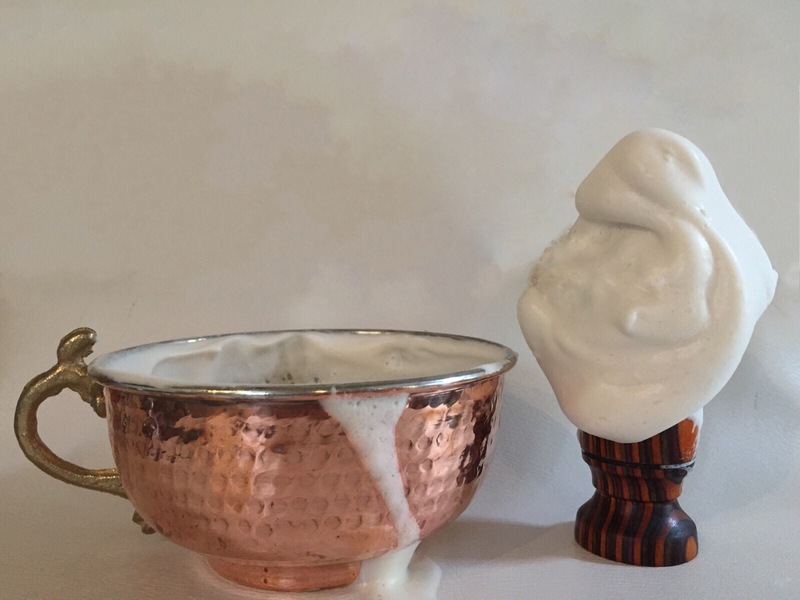 As you can see, I created a really nice thick and creamy lather. In my opinion, this soap also provides great protection with a nice glide, slickness and staying power. It didn’t dissapate at all. I also found that the formula was spot -on for it’s nourishing post shave feel. Perhaps this is a combination of the standard Ballenclaugh ingredients and numerous medicinal properties of Pine Tar. From the little research I have done on pine tar, I understand that pine tar soap goes back centuries and it’s great for your skin & hair. It’s been reported that pine tar possesses antiseptic properties and can be used as an anti-bacterial & anti-fungal agent. Pine wood also retains its oil during the carbonization process, so pine tar is also effective as a skin moisturizer. Needless to say, for me, the medicinal properties is just an added bonus to a terrific soap. This is among the best lathering soaps I have used in a long time. To further illustrate this and to prove to myself that the first lather was not a fluke, I tried a second lather with my Plisson Synthetic and the results were identical. Outstanding!!! ← Week 3 Petal Pusher Fancies Raffle !